We’re less than a week from Autodesk University 2015. This final week is the point where those lucky enough to have a ticket to Vegas are bated in excitement and those without – well perhaps next year? Although there’s certainly nothing like attending Autodesk University in person, not having a ticket to Vegas doesn’t mean you have to completely miss out on the awesomeness of this year’s conference. 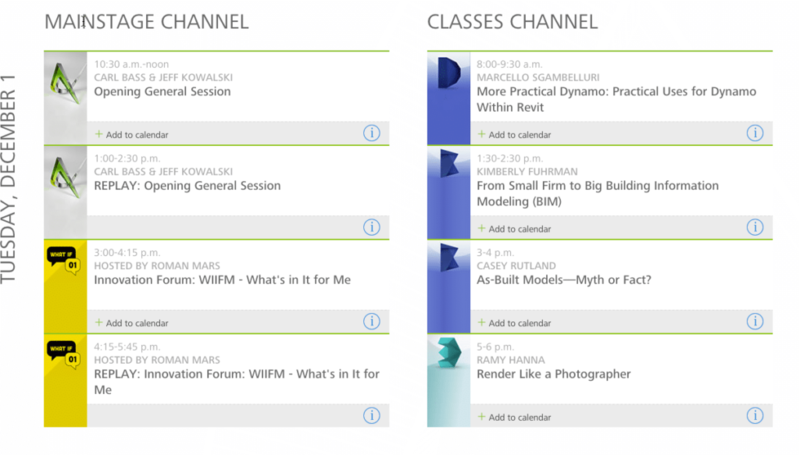 Similar to previous years, Autodesk will stream select sessions live to the audience of the world wide web. Your ticket to Autodesk University becomes an internet connection and about an hour of your time. 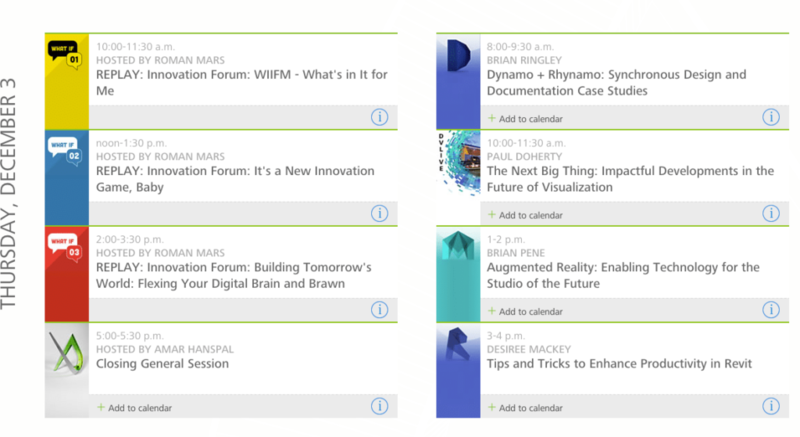 If you haven’t already checked it out, the full schedule of sessions that will be live streamed are available on the Autodesk University website. 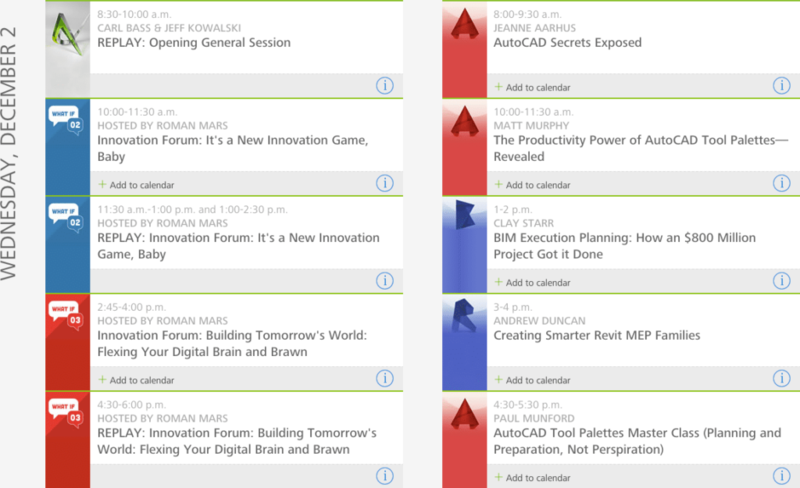 In short, Autodesk has set up two channels that anyone may connect to during the three days of the conference. Each channel will broadcast four sessions per day. Below is the full live-stream schedule. Visit the Autodesk University website to learn more about each session, and sign up to attend live sessions.